Benny is a special guy who deserves a great home in the northern New Jersey or New York City area. This pup was found on the streets and kept by the person who took him in. But he’s been living outside his whole life and has never known the comfort of a soft dog bed or snuggling close to a loving owner. 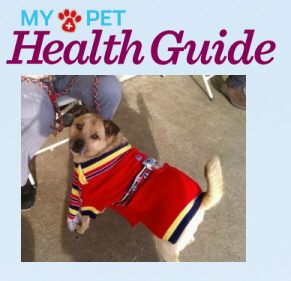 My Pet Health Guide & Adopt-a-Pet.com are hoping Benny can find a loving home soon. He appreciates the company of other pets, chewing on rawhide bones, and learning what life on the “inside” is like. He’s a very playful pooch for his age and will be a great companion. He’s been great around other foster dogs, but prefers to sit alone chewing on a bone when they’re all outside together. Benny’s shy when he first meets you and takes some time to warm up. But once he does, you’ll fall in love. You can make a real difference in this dog’s life, so please consider Benny if you’re looking for a new family member. Benny is neutered, up-to-date with all shots, and has been micro-chipped. If you’re interested in Benny, you can read more about him in his Adopt-a-Pet.com listing here: http://www.adoptapet.com/pet4183056.html and for information on how to adopt him, please send an e-mail to the All Star Pet Rescue in Linden, New Jersey at AllStarPets@comcast.net.